Yesterday, leaders of this great nation of ours and from around the world gathered together in the National Cathedral to pay their final respects to the 41st President of the United States: George Herbert Walker Bush. As I was watching the service on television, I was absorbing every word expressed by the four speakers who shared their personal thoughts on the greatness of our 41st President. I thought to myself that every young, aspiring leader should be watching the service. On one level, it was a solemn and fitting tribute to a remarkable statesman and leader; on another level, it was a lesson on leadership for young leaders who wants to help make our world – or at least our little corner of the world – a better place for everyone. I had the distinct honor of serving in the Bush Administration. It was an extraordinary time in our nation and an exciting time for me as a young professional who had recently moved to Washington, DC from Oregon. Some of the stories and tributes shared by former Bush Administrations officials since the President’s death last Friday capture the reason why so many of his former Administration appointees are honored to this day to have served in his Administration. President Bush was a humble leader…an honorable leader. He placed the good of the country above the interest of his political fortunes. Each day, he confronted major challenges that demanded his full attention, but he always found the time to write personal notes to others expressing his thanks, gratitude or prayers. He was caring and compassionate but was bold and strong in executing his duties as our President. In his eulogy to President Bush, former Wyoming Senator Alan Simpson opined what the President’s epitaph would read. “Perhaps just the single letter L – the letter L for loyalty,” said Simpson. “It coursed through his blood. His loyalty to his country. Loyalty to his family. Loyalty to his friends. Loyalties to the institutions of government…” A simple epitaph but one that should make us think of another L word: Legacy. Our own legacy. 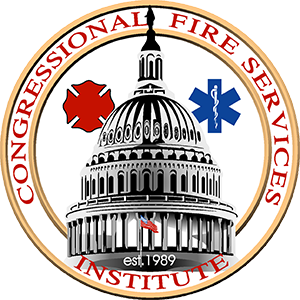 On April 25th, 2019, the Congressional Fire Services Institute will host the 31st Annual National Fire and Emergency Services Dinner. Almost to the day, the date will mark the 30th anniversary of President Bush’s keynote address at the first dinner program in 1989. His participation had a profound impact on the initial success of the program, and more importantly, it raised the level of awareness about the Congressional Fire Services Caucus and Institute within the fire service community. His support has never been lost on CFSI and the Fire Caucus leadership. As I sit in front of my computer grasping for the right words that would pay fitting tribute to President Bush, I realize the best words were already expressed by the four eulogists. So as CFSI’s tribute to President Bush, we are providing the links to two of the eulogies that should offer the most meaning to future leaders of the fire service about leadership and commitment to serving others. The eulogies by President George W. Bush and Senator Simpson speak of the attributes that defined President George H.W. Bush as a special leader, father and friend. May you rest in peace President Bush.